Did Omarosa secretly record multiple conversation with President Trump? 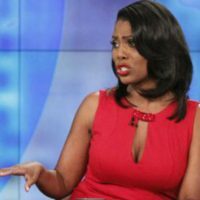 ABC/Lou Rocco(NEW YORK) — Omarosa Manigault Newman may have done more to document her time in the White House than simply write her upcoming memoir, Unhinged. According to a new report, the former aide to President Donald Trump also recorded conversations with her boss. A source confirmed to The Daily Beast that they had heard at least one of Omarosa’s recordings featuring Trump. Other sources familiar with the alleged “Omarosa tapes” describe the recorded conversations between Trump and Manigault as everyday chatter, adding that the voice does appear to be that of the president’s. The Daily Beast reports that Manigault Newman used the existence of the tapes to help sell her “tell-all” book. The former reality star, an early Trump supporter, joined his administration in January 2017 as Director of Communications for the Office of Public Liaison. However, her relationship with the president soon unraveled, and at the end of December 2017, she was reportedly fired by Chief of Staff John Kelly. Omarosa has maintained that she resigned from her position. Unhinged: An Insider’s Account of the Trump White House is set to hit bookshelves on August 14, 2018.